The SkyBell DBCAM-WMK is a wedge mount kit designed for use with round-style doorbell cameras from SkyBell. The device will allow different detection areas to be used with the camera. It will also angle the camera upwards for improved viewing. Buy the SkyBell DBCAM-WMK from Alarm Grid. The SkyBell DBCAM-WMK Wedge Mount Kit allows a user to adjust the viewing angle of their SkyBell Video Doorbell. It is compatible with both the SkyBell DBCAM (Total Connect 2.0) and ADC-VDB101 (Alarm.com) models. The wedge mount is perfect for adjusting the detection area of the doorbell. The wedge mount is positioned between the smart doorbell and the wall. The accessory will tilt the viewing angle of the doorbell upward so that the user can get a better view of the person at their door. This can be especially important when replacing older-style doorbells that may have been mounted at a particularly low height. Please note that this accessory is only compatible with the round-style doorbells from SkyBell. It will not work with the TRIM models, like the DBCAM-TRIM and ADC-VDB105. 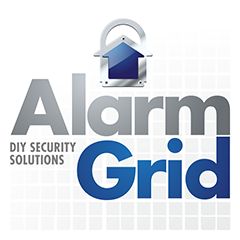 Alarm Grid offers a different wedge mount kit for these models. How Do I Reset My SkyBell? Where Can I Buy a SkyBell Doorbell? What is the Best Doorbell Camera?